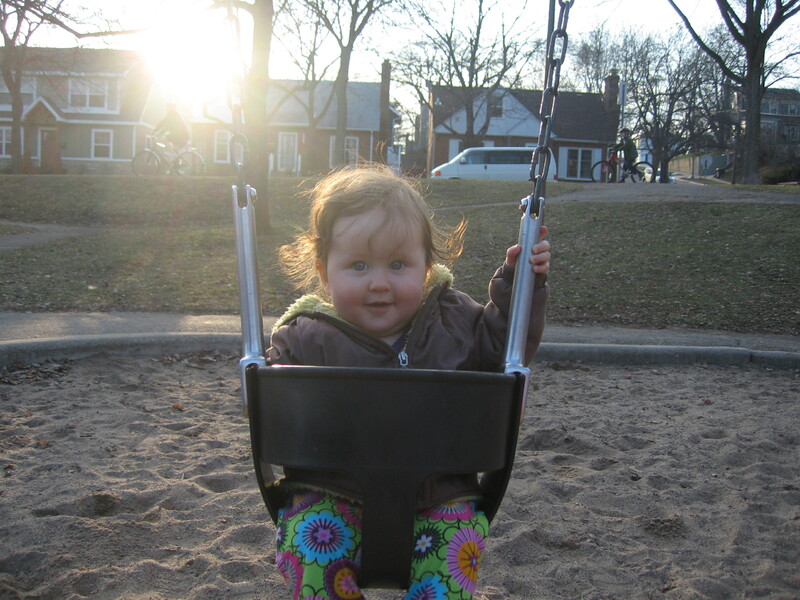 With the time change and the recent spell of unseasonably warm weather, Evelyn has been able to go outside for a little while after supper. 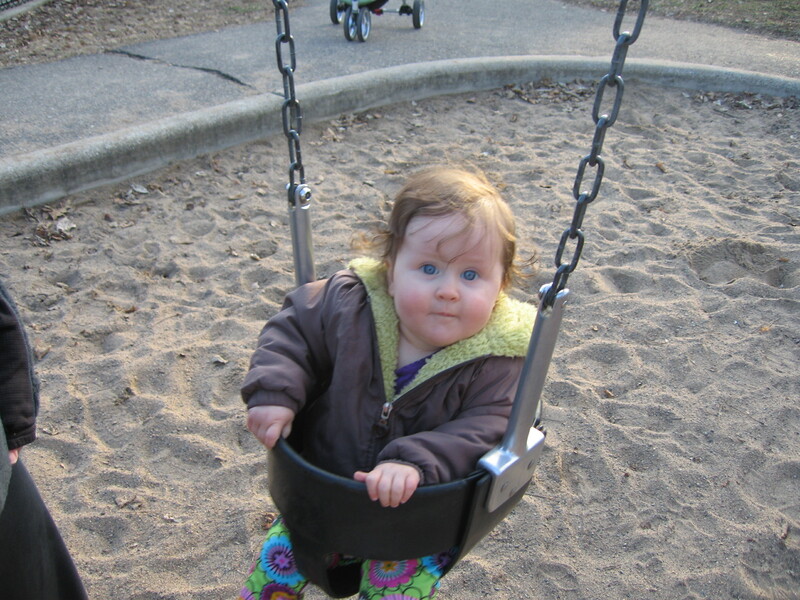 Tonight she went to the local playground. 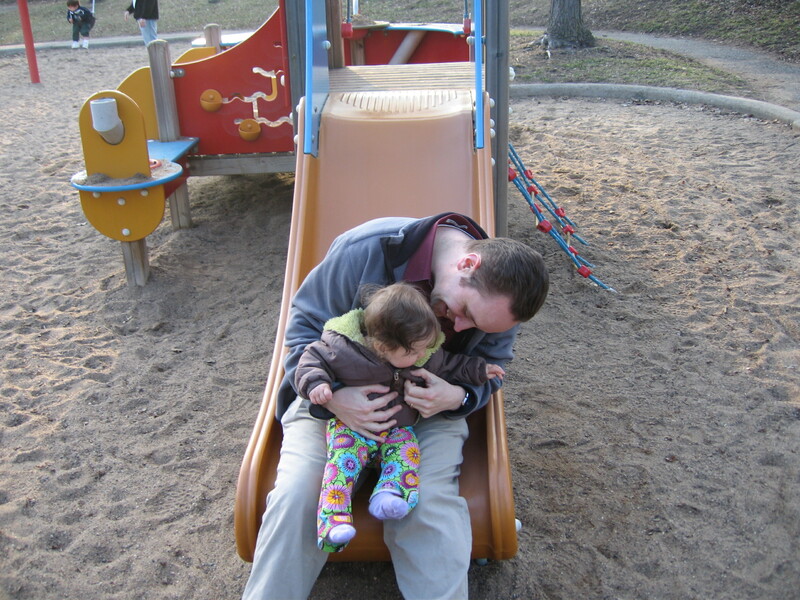 She played on the slide with Dad, and rode in a swing for the first time. She was not eager to leave.